The Snowy Day was a special row because my sweet Bo turned 4 this week, and we centered his birthday around our row. I rowed this with Mali and Elli 4 years ago and that post is at the top of my most viewed posts this week, so I thought it would be a good time share my row with Bo for some more snowy day fun ideas! 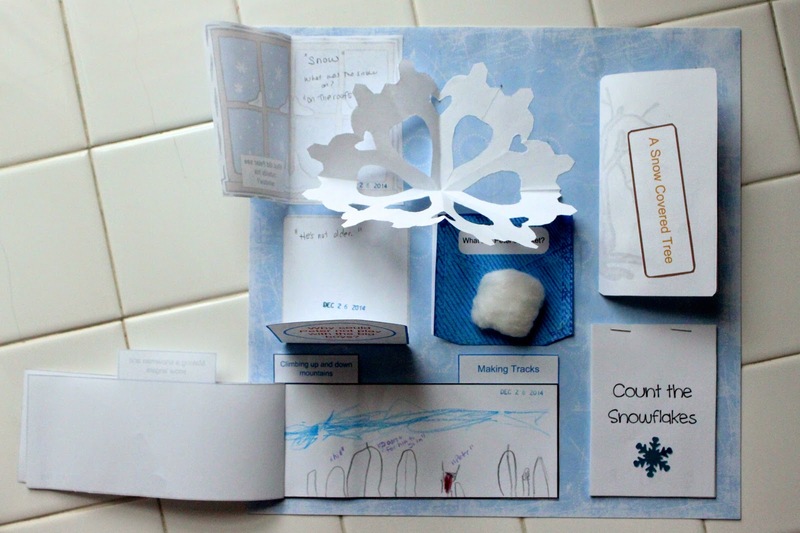 Snowy Day Printables from Homeschool Creations. I cut them and let him unfold them, and then we hung them from a string of blue icicle lights. These are just like they sound ~ mini fruit pizzas made with sugar cookie rectangles, spread with cream cheese frosting, and topped with red, yellow, and green fruit. 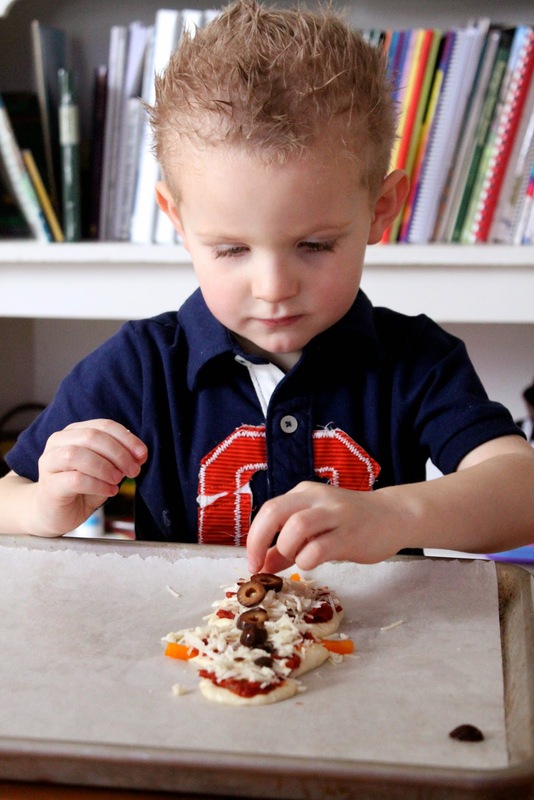 Easy for little hands to make. 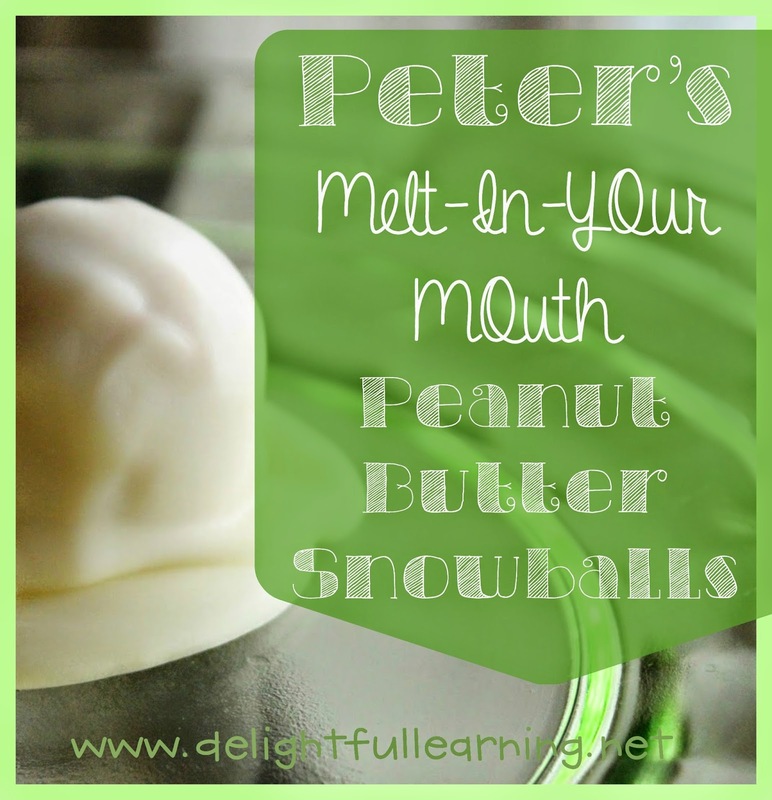 We made these Peanut Butter Snowballs, but made them to look like melting snow balls, for the snowball that melted in Peter's pocket. To make these, we made the peanut butter balls and chilled them in the fridge. While they were chilling, we melted white candy quick and made a puddle of melting "snow" and chilled them until cool. Then we dipped the peanut butter balls in the melted candy quick and placed them on the "melting snow." These would also be cute on a frosted sugar cookie. Bo got to wake up to his very own snowy day, as it snowed fresh new snow several days this week, including his birthday. Snow piled up high along the streets to make a path for walking. We wandered around the neighborhood enjoying the snowy city weather, just like Peter did. We made these for White Snow Bright Snow, and it was fun to make them again. 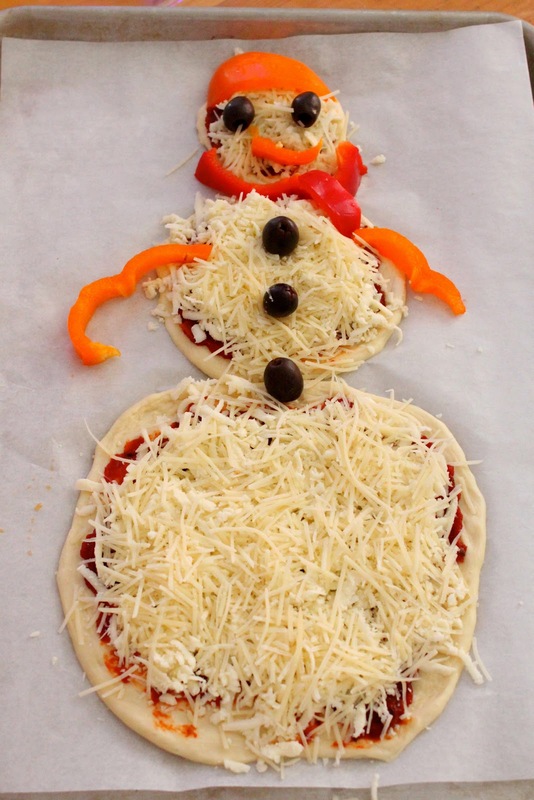 This time, they didn't melt all over the pan like our snowman pizza before (we left the tomatoes off). 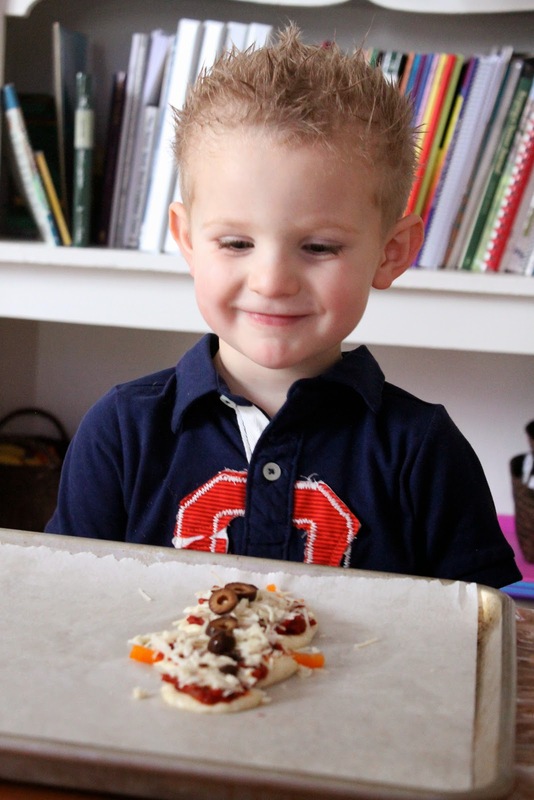 And I let the little ones make their own pizzas this time. Elli dressed this smiling snowman. I almost made snowball cupcakes like we did for our Winter Rows, but since it was Bo's 4th birthday this week, I went for a giant snow ball cake. I was inspired by this Snowball Cake, but I used a smaller glass bowl and baked two cakes one at a time in the bowl to make a cake in the shape of a ball. I filled the center of the cake with marshmallow cream mixed with whipping cream and powdered sugar. With pretzel stick arms dipped in white chocolate. "Peter maked a smiling snowman. He maked snow angels. He maked another track in the snow with a stick. He put a snowball in him pocket. It melt - just like the ice I had in the bath tub. Peter played with rubber duckies. He thought about all of his adventures. There was lots and lots of snow. 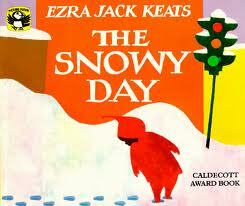 When he went to bed, there was new snow." I can't even tell you how much getting this much out of him means to me, considering that this time a year ago, Bo had just started talking in sentences. I've worked with him countless times on his grammar, and the same tricks I used with all my other children just haven't worked yet with him, but I'm not worried about that right now - I'm so happy that he is talking as well as he is. I made these pom-pom snowballs for an indoor snowball fight with Bo. Just like Peter, he's not old enough to have a snowball fight with the big boys. He loved it! 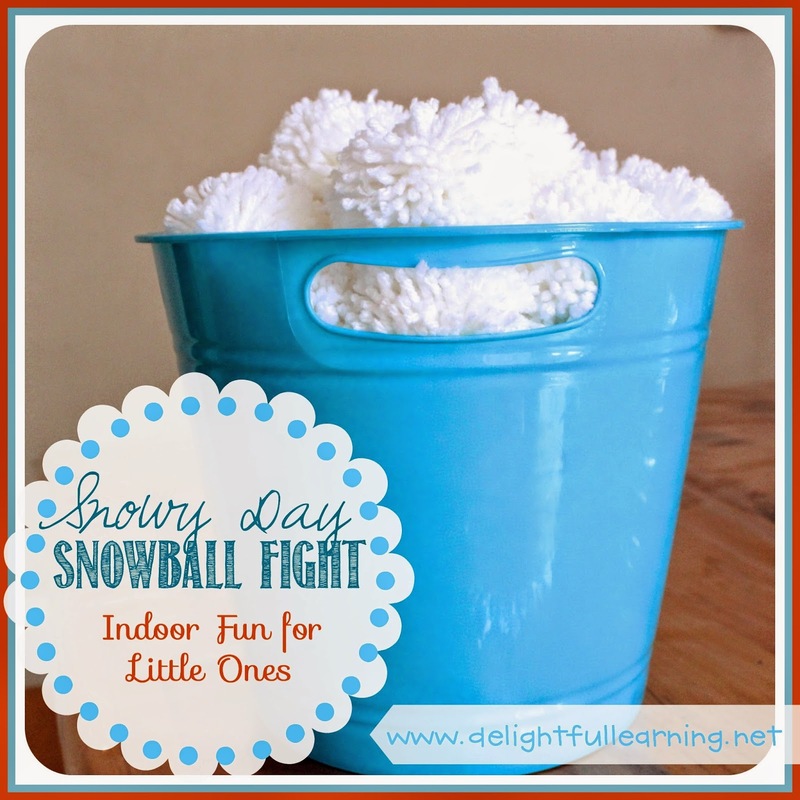 To make this fun, put on snow gear, lay out a large white sheet and turn laundry hampers over for a snow fort to hide behind, and have an indoor snowball fight like we did for White Snow Bright Snow! I used the large pom-pom maker that I bought on Amazon (affiliate link). I used a big roll of regular yarn and enjoyed watching a few movies while I sat and made pom-poms (they took me all week to make). I am usually very practical (last time we used white socks rolled up into balls and I spent my craft money on new socks). I wanted to do something different this time, but still practical, so I reasoned that these could be used for dish scrubbers. It would have been more practical if I had used cotton yarn, though. Don't have snow? Be sure to visit Mud Puddle Soup for some great indoor Snowy Day fun and more! Love that A Family in the Land did the tissue art lesson from the manual - I really wanted to do that one but couldn't find my stash of tissue paper. Love the science and sensory art at The Mommy School and wished I would have thought to make snow goggles for our walk around the neighborhood! and more delightful rows on the B4FIAR Link-Up! 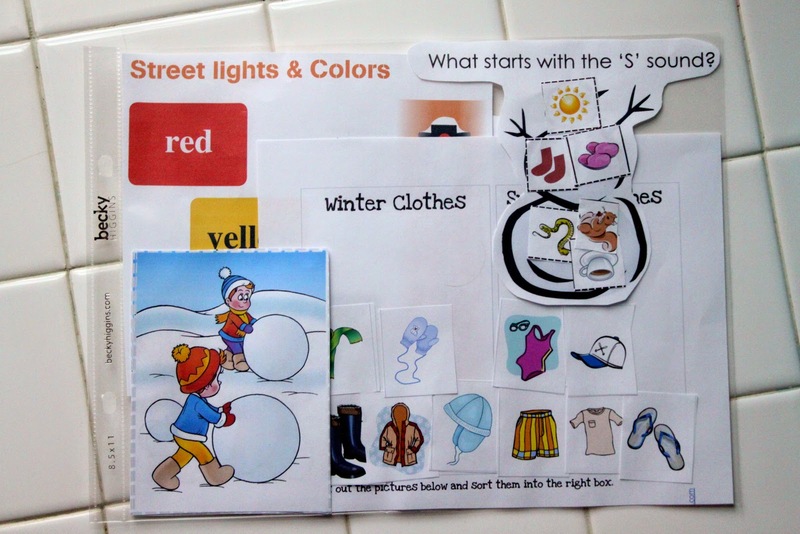 Follow Delightful Learning's board Winter Fun on Pinterest. Four is a game changer around here. Bo is much more independent, makes less messes, though he does still make them while entertaining himself, but things are just all around easier now that Bo is busy in more productive and often helpful ways. I've kept these memories since Bo was a born (weekly at first, then monthly and now yearly) and I still enjoy having these to look back on. How well you are talking! What an amazing difference a year has made! You still can't say /k/ or /g/ but can make a cough sound. How you wrap your arms around us and say, "I love you soooo much." How when I give you a big hug, you say, "I love you, too, Mom." That you sometimes call me "Mommy"
That you stopped dressing yourself and want my help - I'm not sure why except that now that you are older you need less help and miss that? 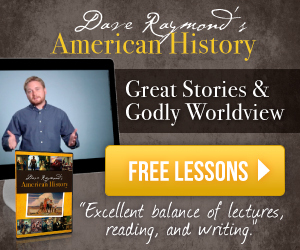 How you explain what you are about to do so thoroughly - using words like "first," "and next," until you are done. Your cute little sad lip you give when you want something. That you send yourself to your room when you are upset or can't have what you want. That when I talk to you, you are a very reasonable little boy and listen well. That you slept through the night for the first night since you were born just before you turned 4 ~ thanks to Lavender and Orange in the diffuser at night, and that you have been sleeping through the night since. I'm so thankful, but miss your cuddles in the morning! How much you love to play! You were such a busy 1 and 2 year that you didn't have time to play much, but you started to play sometime between the age of 2 and 3 and learned to love playing between the ages of 3 and 4. You play well by yourself or with one sibling (most of the time). Bo, I love you soooo much! How much fun! 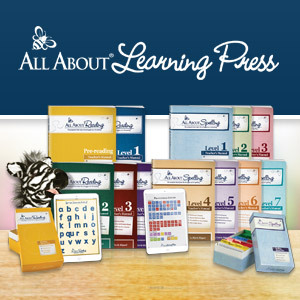 Thanks for the great ideas; I love the idea of using 12 x 12 paper! Happy Birthday to Bo! He looks so big! Indeed, what a difference a year can make! Thanks for detailing your row with us : ) We will be reading this book this upcoming week; hope to make it a fun one! Aw, thank you Rachel! 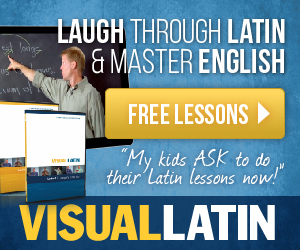 Thankfully, our little ones don't have to know if we didn't come up with it on our own. :) They don't read Pinterest or other blogs so it's all new and wonderful to them. I just want to make memories while they are young because you are right - it is so bittersweet. I love that Bo is 4 - he is so much easier, but I'm sad that it is going so fast at the same time. 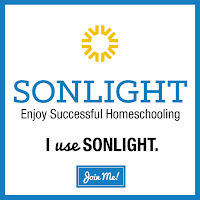 Did you see Mud Puddle Soup's post? They used fake snow for indoor fun! You could also have a snowball fight with rolled up socks! Have fun! Thanks, Abby! 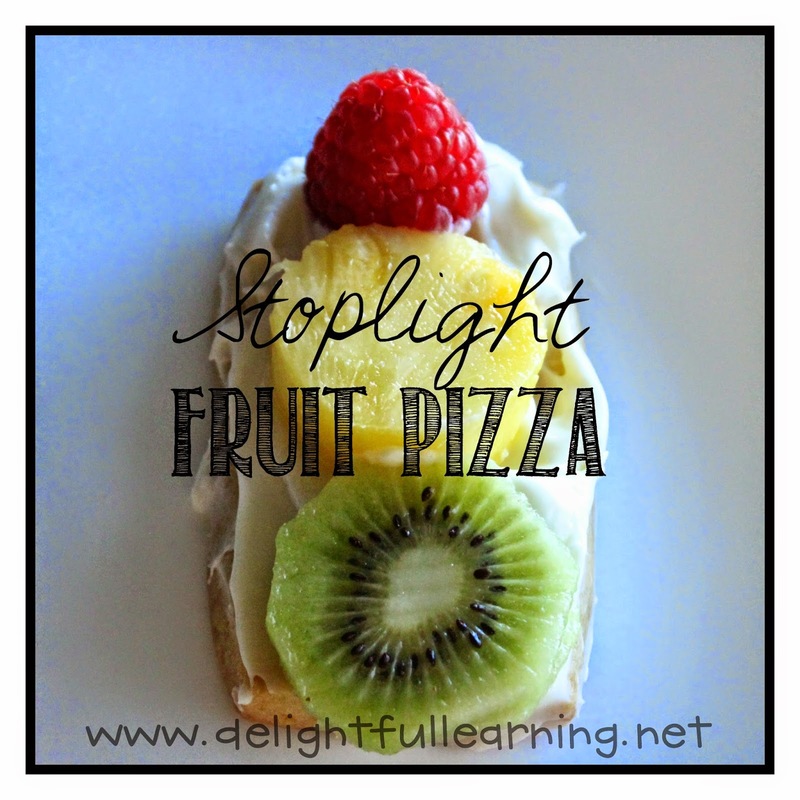 I think the fruit pizzas were my favorite treat this week. I hope you were able to have your snowball fight with your pizza!